There are now biological controls for most pests commonly found within our greenhouses, conservatories and gardens including; ladybirds and lacewing larvae for aphid control, a small parasitic wasp called Encarsia formosa (don’t be alarmed this is not a wasp as we know it!) for whitefly control and a range of nematodes which attack some real garden nasties such as slugs, snails and the dreaded vine weevil larvae! All of our biological controls are environmentally friendly; leaving no chemical residues on your plants, are safe to apply and even better, encourage natural beneficial insects such as hoverflies and ladybirds into your garden for free. And, insecticide free gardening means you won’t need to worry about your family, friends or your pets being around when you are applying biological controls as they are safe, both to humans and pets. 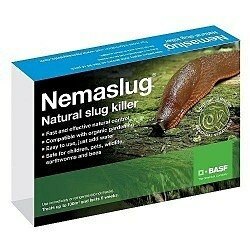 Nemaslug is our most popular product for the control of slugs and snails. These can be incredible damaging pests and effect a wide range of garden plants including herbaceous perennials such as hosta, delphinium, agapanthus and dahlia. Strawberries, lettuce, brassicas and potatoes are just a few of the crops grown in the kitchen garden and on the allotment, that are equally susceptible to slug and snail damage. Applied either using a watering can or through a sprayer, these microscopic worm -like nematodes attack the slugs, infecting them with harmful bacteria, which multiples rapidly leading to swelling. Within a few days rupturing occurs killing the slug while at the same time thousands of nematodes are released which seek out new pests to infect. Repeat applications every six weeks from March through to September to maintain slug and snail damage free crops. Nemaslug is available in a 30 million pack and will keep up to 100m2 of your favourite flowers, fruit and vegetable slug and snail free. Nematodes seek out slugs and small snails, they enter the body and start to develop from infective juveniles to adults. In doing so a pellet of bacteria is released that begins to multiply spreading through the host body. Infected slugs are noticeable by the swollen mantle on their back, this ruptures a few days later releasing thousands of nematodes that seek to infect further hosts. Organic pest controls are easy and safe to apply creating excellent levels of environmentally friendly pest control. 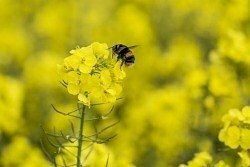 The use of organic pest controls encourages hoverflies and ladybirds into your garden for free, providing a chemical free control of pests.